According to Article 43 of UFSC’S Bylaws (Resolution no. 065/78 modified by Normative Resolution no. 79/2016/CNu), the Unit Council is the highest deliberative and consultative body of each of the University’s Units. 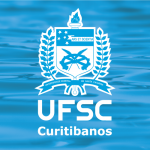 On the Curitibanos Campus, the council is composed of the following members.